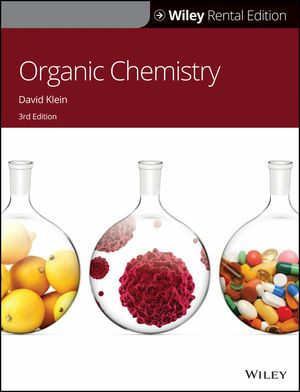 Organic Chemistry, 3rd Edition offers success in organic chemistry requires mastery in two core aspects: fundamental concepts and the skills needed to apply those concepts and solve problems. Students must learn to become proficient at approaching new situations methodically, based on a repertoire of skills. These skills are vital for successful problem solving in organic chemistry. Existing textbooks provide extensive coverage of the principles but there is far less emphasis on the skills needed to actually solve problems. David Klein is a Senior Lecturer in the Department of Chemistry at Johns Hopkins University where he has taught organic chemistry since 1999. Having worked with thousands of students, he has intense first-hand knowledge of how they learn and the difficulties they encounter. He received his bachelor's degree in chemistry from Johns Hopkins University and his PhD from the University of California at Los Angeles under the supervision of Professor Orville Chapman. 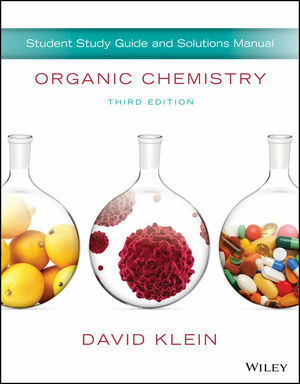 Motivated by his experiences teaching organic chemistry as a graduate student at UCLA, David wrote Organic Chemistry as a Second Language(John Wiley & Sons, 2004, updated 2nd edition published in 2008), which has become a highly valued student study resource. David has received numerous teaching awards at both UCLA and Johns Hopkins for his unique, skill-building approach to organic chemistry instruction. David is married with five children, and he enjoys skiing, scuba diving, and Tae Kwon Do.